KING PRAWN’S new single (Done Days / Solemn Man) is a massive sonic blow of Northern Punk Rock’n’Roll Soul flipped with a chunk of flamenco dub ska. The band last “left the building” at a sold-out London Forum in 2003. 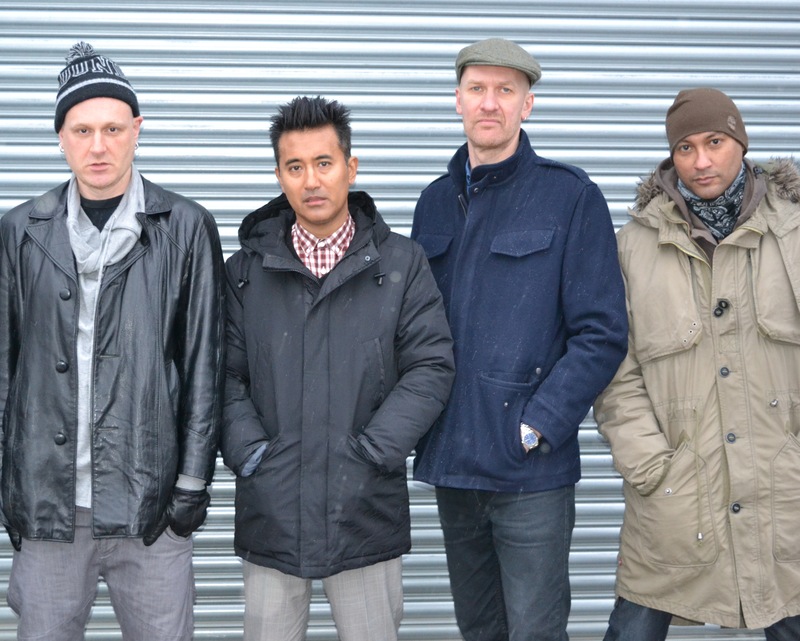 After four albums and hard touring the London based band had gained themselves a dedicated following to their punk,ska, funk sound. It took a call from Boomtown Fair asking if the band would be available to headline their Devil Kicks stage to break the hiatus. Once news was out slots in Reading & Leeds festivals, courtesy of Radio 1’s Mike Davies, were confirmed followed by a flood of enquiries from promoters across the country. The original line up still stands, fresh from vocal duties with Asian Dub Foundation ,Al Rumjen (vocals), Devil Hands (guitar), Nikoli (drums) & Dr Nelly (trumpet) only bassist Babar Luck has been replaced by new recruit Zac Chang and an expanded live horn has been added to the mix. The band have definitely got the thirst with an album planned for Spring 2014. This entry was posted in Press Releases and tagged 15th COLCHESTER TRIBAL UNDERGROUND, 16th SALISBURY ARTS CENTRE w Random Hand, Al Rumje, Anti Vigilante, Anti Vigilante 21st LEEDS BRUDENELL SOCIAL CLUB w Random Hand, Anti Vigilante 22nd NOTTINGHAM RESCUE ROOMS w Random Hand, Anti Vigilante 23rd NORWICH WATERFRONT w Random Hand, Anti Vigilante 24th LONDON KOKO w Random Hand, Bake’d House, Clay Pigeon 19th RUGBY THE VAULTS w Anti Vigilante 20th NEWCASTLE O2 ACADEMY 2 w Random Hand, Devil Hands, Dirty Revolution 18th MILTON KEYNES CRAUFURD ARMS w Anti Vigilante, Dr Nelly, Imperial Leisure, Imperial Leisure 17th BRISTOL FLEECE w Random Hand, King Prawn, King Prawn free download, KING PRAWN'S new single Done Days / Solemn Man, Mike Davies, Music/Clothing label Yo-Silver, Nikoli, Simon Nott King Prawn Publicity, Simon Nott press, Zac Chang. Bookmark the permalink.